Here's one of my favorite party snacks since the super bowl is this weekend!! I made these for the first time when I was doing Whole30 during football season (read: missing out on all the best bar foods). They're so easy, so good, and you can eat them with your fingers...which is probably my favorite genre of food now that I'm thinking about it. Preheat the oven to 400 degrees. Prepare a large baking sheet with parchment paper. 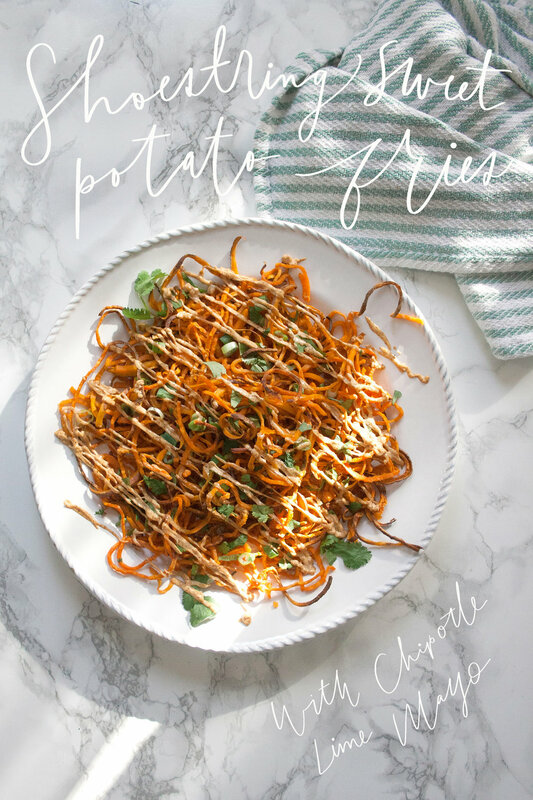 Spiralize the sweet potato. 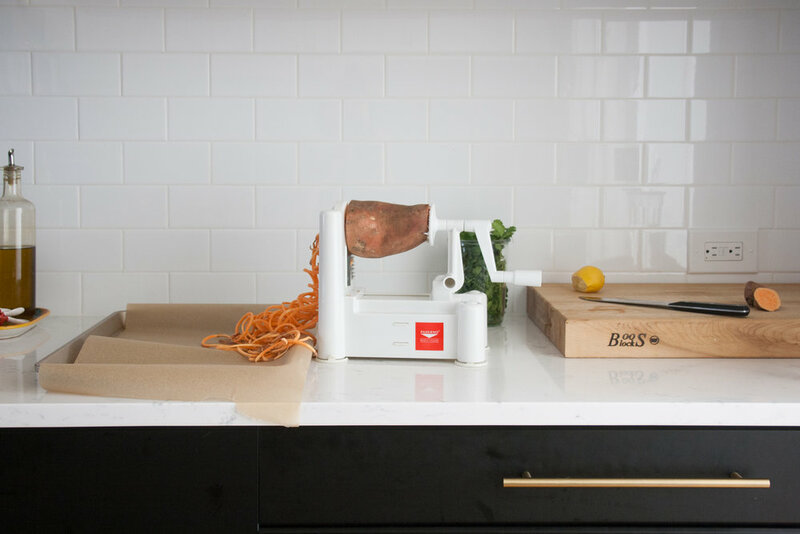 This is the spiralizer I use. It's a beast. I didn't think it was going to work with such a huge potato, but it proved me wrong! Line the paper with the sweet potato, tossing with olive oil and pink salt, and spreading it out as far as possible so it cooks evenly. Cook for 20 minutes. Toss. Cook for 15 more minutes. Plate the fries and garnish with chopped cilantro and green onions. Chipotle mayo: Mix mayo, a few shakes of chipotle powder and a squeeze of lime.